In my previous article i have given a brief information about SeaWorld Orlando which is located at Florida. Today I will tell you about Kraken Roller Coaster ride of SeaWorld which is too much thrilling. In this post You will get the detailed information about the Kraken. I am sure that after reading about it, You will also be wanted to go there once in your entire life. Kraken is Orlando's fastest , longest tallest and floorless roller coaster. It has debuted in June 1 2000 in SeaWorld. As i mentioned kraken is floorless coaster which will allow you to sit above the track with nothing above your head. There will be only sky or ground above your head which is depending on where you are in the ride. You must have to retain a locker to put your valuables. Before retaining a locker keep in mind that you can seat in kraken Roller Coaster if your height is more than 54 inches. Following are the specification of Kraken Roller Coaster. So friends above is the detailed information about Kraken Roller Coaster ride of SeaWorld, Orlando. I hope this article is helpful to you. 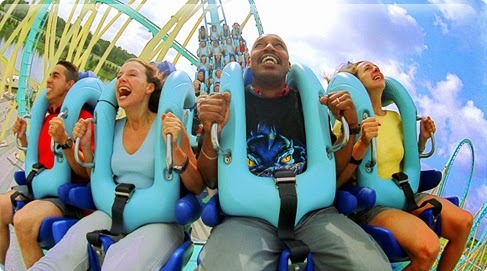 If you have visited SeaWorld and sit in the Kraken then mention your experience in comment box. Have a nice day.